Honda had already degenerated into a joke in Formula One. Thanks to a lightning start with Red Bull, the engine manufacturer can hope again. The true balance of power is now revealed on the weekend in Bahrain. Sakhir. 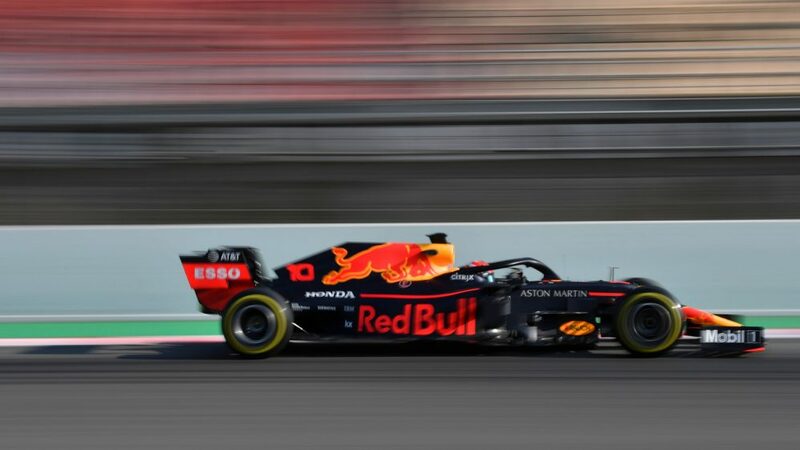 With 321.9 km/h Pierre Gasly had “flashed” in Melbourne, it was the top speed in the first race of this Formula 1 season. Gaslys Red Bull was powered by a Honda engine. Teammate Max Verstappen also had one in the rear as he drove his Red Bull into third place in Australia. A Honda rider on a Formula 1 podium? That was the last time in 2008 when Rubens Barrichello took third place in Silverstone for the factory team. Since then, the pride of the Japanese has been dismantled. In the 1980s and early 1990s, Honda engines brought the Williams and McLaren of Mansell, Piquet, Senna, and Prost in series victories and titles. 72 Grand Prix successes rank fifth among the most successful engine builders of Formula 1. But the comeback from 2015 did not come and not on tour. The real disaster was the renewed partnership with McLaren. Defective and lack of horsepower made the Japanese laugh, former World Champion Fernando Alonso derided the engine as at best sufficient for a junior series. 2018 was followed by a transitional year with Toro Rosso since this year Honda also supplies Red Bull Racing. The British-Austrian team had broken with Renault and landed in the Japanese, also because Ferrari and Mercedes did not want to equip the direct competitor. “The engine change to Honda has swept the whole team,” said Red Bull team boss Christian Horner. The Briton also told how Honda motorsport boss Masashi Yamamoto cried after a podium finish was won in Melbourne right away. In fact, Yamamoto’s department has been under the watchful eye of Honda bosses, after all, the three-digit million investment in the F1 comeback has brought especially image damaging results. Now it seems as if the Honda Development Center in Sakura is not much inferior to those in Brixworth (Mercedes) and Maranello (Ferrari). Only about ten horsepower should be missing on the Mercedes engine. At Honda you are modest. “Our honest impression is that we have not reached the level of Ferrari and Mercedes,” says Yamamoto. Now the second race of the season in Bahrain is waiting (qualifying: 16:00, race: Sunday, 17.10, live on ORF one, RTL, Sky). What Honda is talking about in the desert: Last year, Gasly sensationally finished fourth in the Toro Rosso. This year, however, the true balance of power will be revealed in Bahrain. The race day in Melbourne has probably been more of an outlier from Red Bull’s point of view. For comparison: In qualifying Verstappen have previously lacked 0.8 seconds to the pole time of Lewis Hamilton (Mercedes). And as the first training times from Bahrain suggest, Ferrari will also fight back. Red Bull star Verstappen did not want to overstate the top speed in Australia. He and Gasly were both in the slipstream and would have benefited from the DRS.